Hoo boy. First we hear that Shining Force will be appearing soon on the Wii Virtual Console (at least in Europe, though I think it's safe to assume it'll come out in Japan and the U.S. as well), now we hear a slew of NES classics are on the schedule, too. Aussie-Nintendo.com today reported that Australia's version of the ESRB has given rating to four NES games (which means they'll be released soon): The Adventures of Lolo, Donkey Kong Jr. 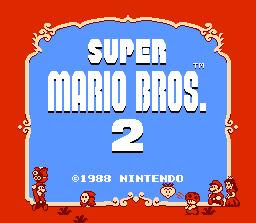 Math, Metroid and Super Mario Bros. 2. Sure, Donkey Kong Jr. Math isn't anything to get excited about (unless you're a complete dweeb), but the other three sure have me tingling with excitement (really, you should see me). What's next? The original Final Fantasy, Secret of Mana and maybe Earthbound? Oh, I hope so!